Our First-Year Experience (FYE) Program is an opportunity for you to get comfortable with your new college home while developing skills for college success. You will make new friends, gain mentoring relationships with faculty and staff, and hone the skills you need to plan your future and achieve your goals. 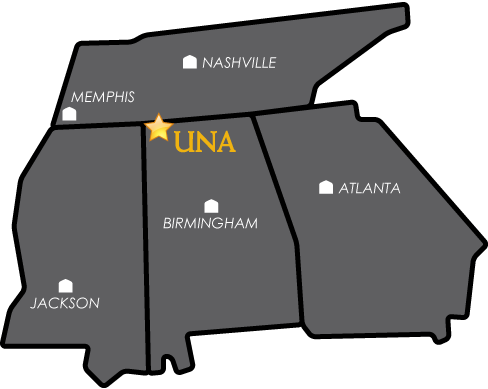 Get ORIENTED to UNA and the Shoals; after all, it's your home, too! DEVELOP critical skills in studies and in life. EXPLORE major and career possibilities. Explore your future from the start! How do you get involved in the FYE Program? 'By enrolling in an FYE Seminar! To find out more, contact successcenter@una.edu or 256.765.4722.